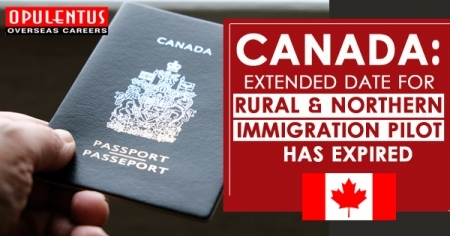 The extended community appeal deadline for Rural & Northern Immigration Pilot of Canada expired on Monday, Mar 11, 2019. Communities planning to take part in the stream of skilled worker immigration are expected to apply to the 05-year pilot. The community deadline for application was extended by ten days from the first cut off date of Friday, Mar 1. It is open to all provinces of Canada that satisfy requirements excluding Atlantic region and Quebec. The Rural & Northern Immigration Pilot is intended to assist smaller communities with labor shortages and aging populations, which struggle to bring and hold new immigrants. The pilot was started earlier in the year 2019 following the progress of the Atlantic Immigration Pilot. Communities elected will be declared in spring 2019, with the identification of latest permanent resident applicants to begin in the summer of 2019. Have a 200,000 population and be counted remote from other bigger cities, as per the Index of Statistics Canada Remoteness. Have a development plan for the economy. Have a regional economic development group that can direct your community pilot. Help settle the current immigrants in the community. Possibilities to connect immigrants with the established community members. A regional or local immigrant-serving company. A form of Community Interest (available on the Canadian government website). A plan of economic development was written in the past 3 years.